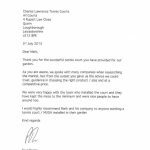 You don’t just have to take our word for it - many of our previous clients have been impressed by our dedication to quality and attention to detail. 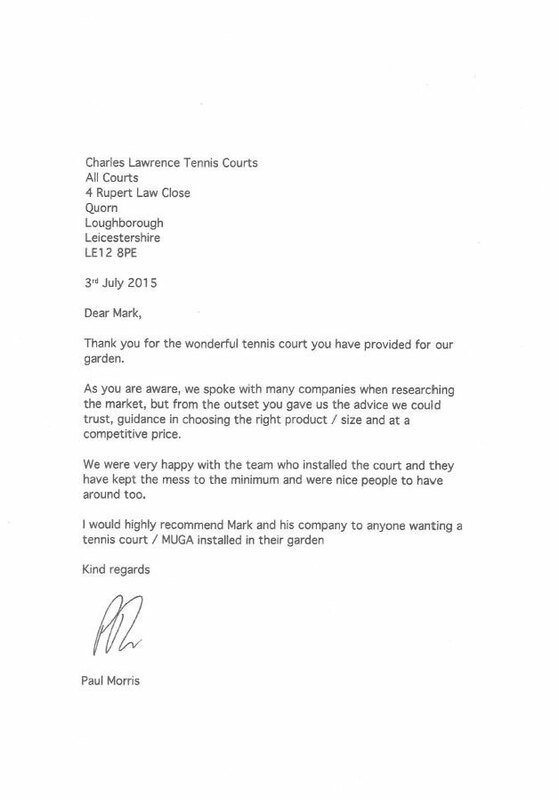 So take a look below for some sparkling testimonials from our clients who are happy to recommend us. 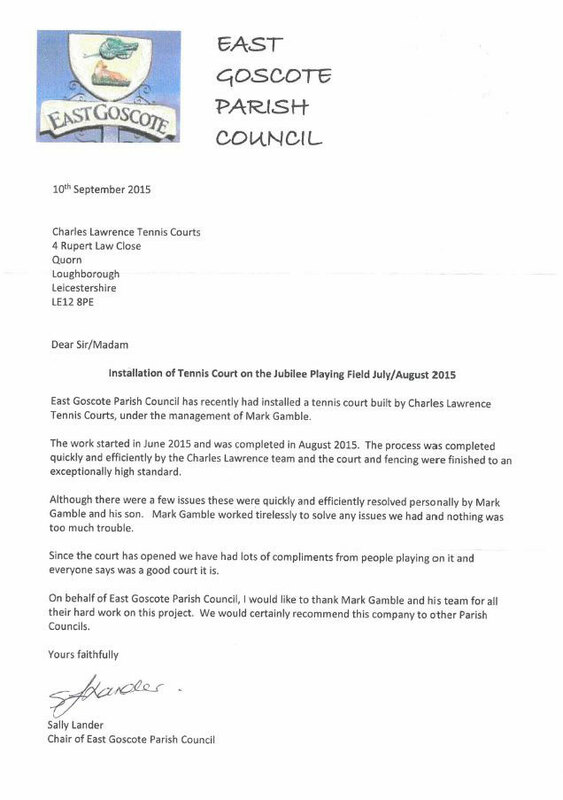 Thank you so much for our wonderful tennis court. 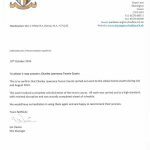 The process from out initial briefing meeting with James through to its completion has been nothing short of first class. 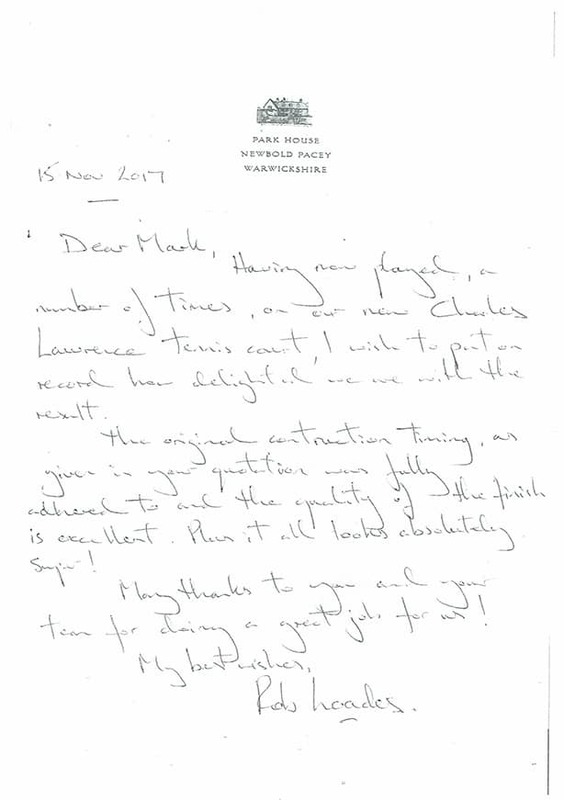 We have been playing almost every day or evening with the glorious weather – it’s an absolute joy. 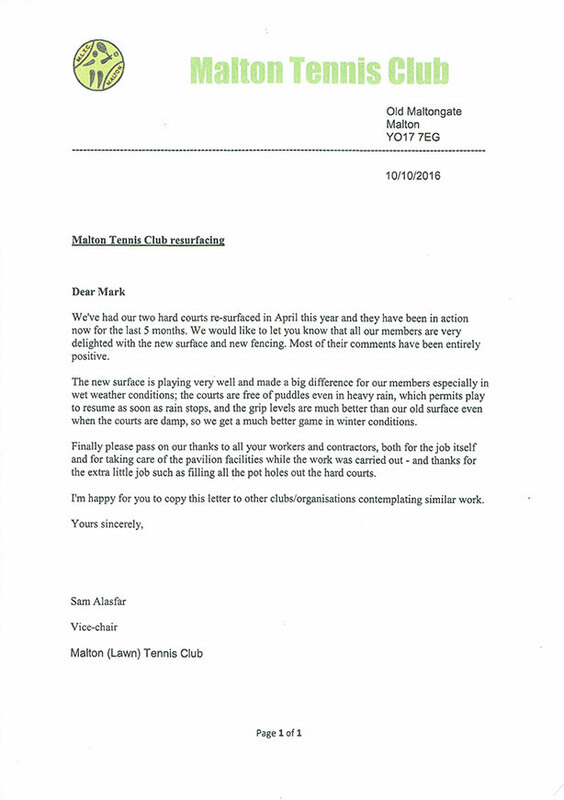 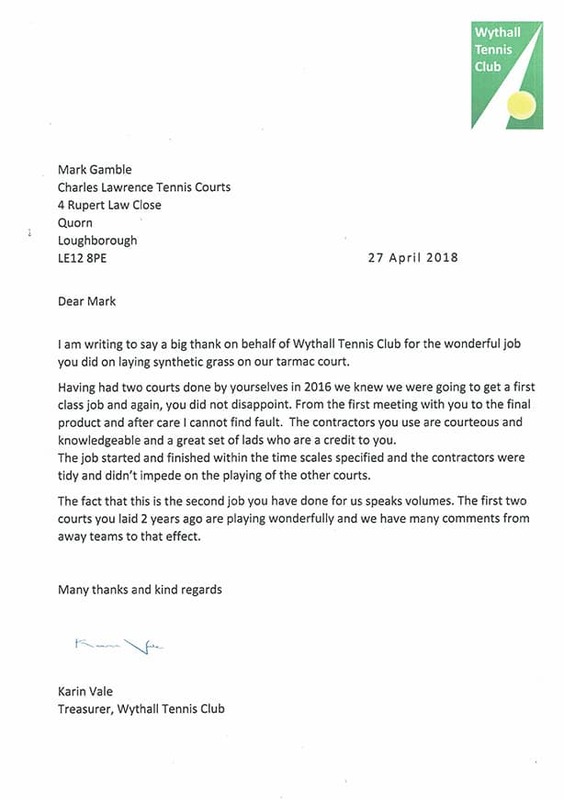 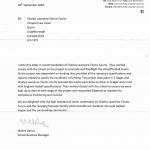 I am writing to say a big thank on behalf of Wythall Tennis Club for the wonderful job you did on laying synthetic grass on out tarmac court. 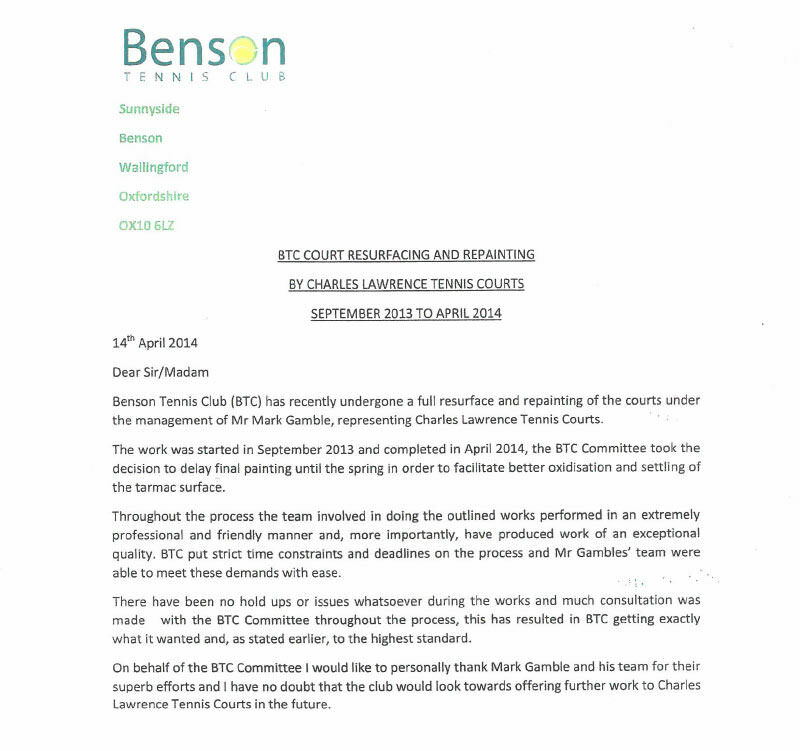 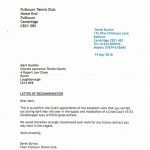 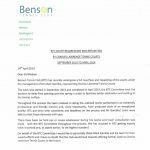 This is to confirm the Club’s appreciation of the excellent work that you carried out during April-May this year in the supply and installation of a Cross Court 15/33 (Grasshopper Ace) artificial grass surface. 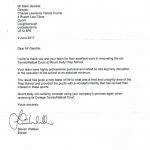 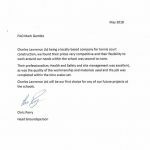 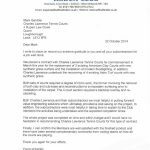 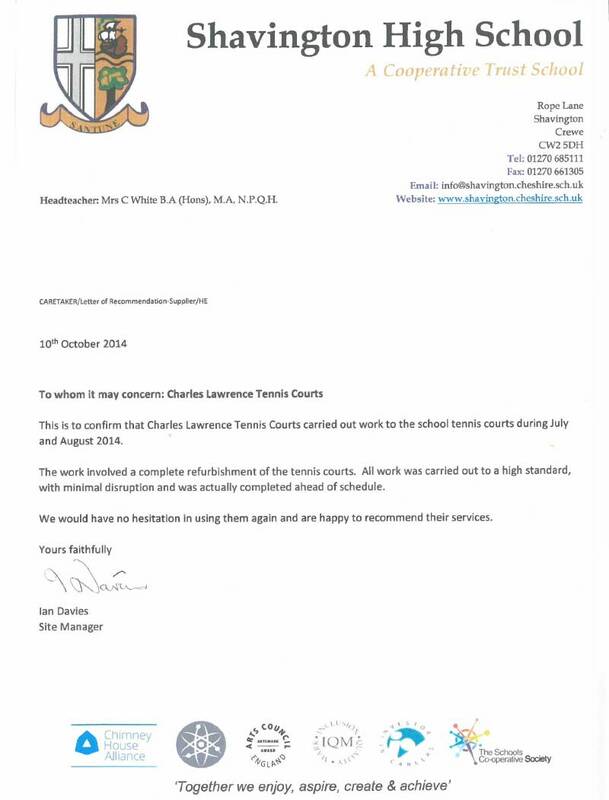 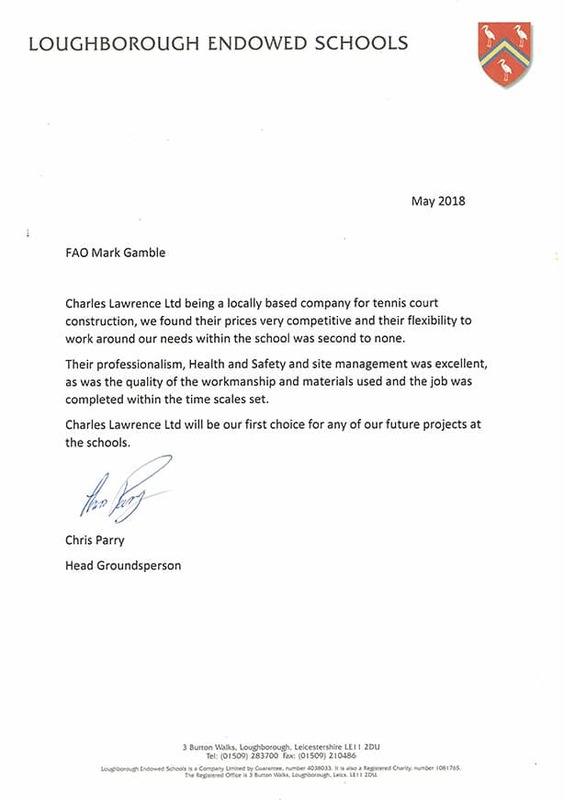 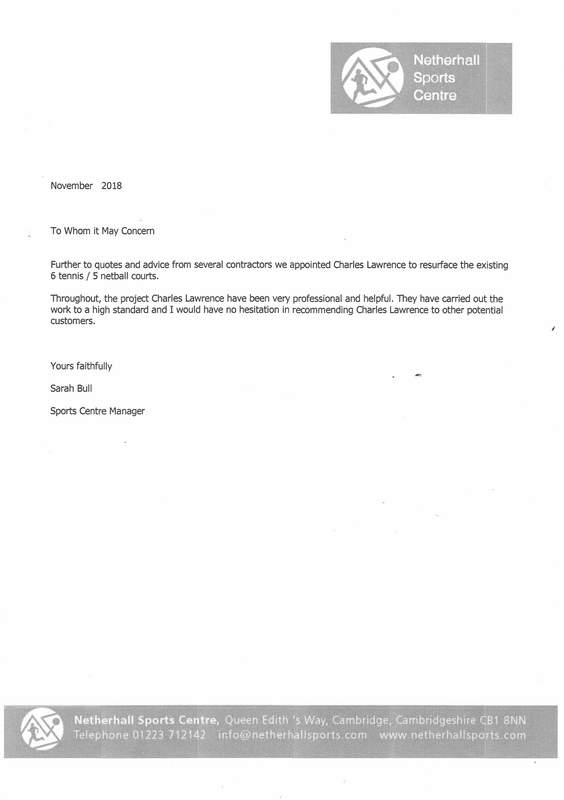 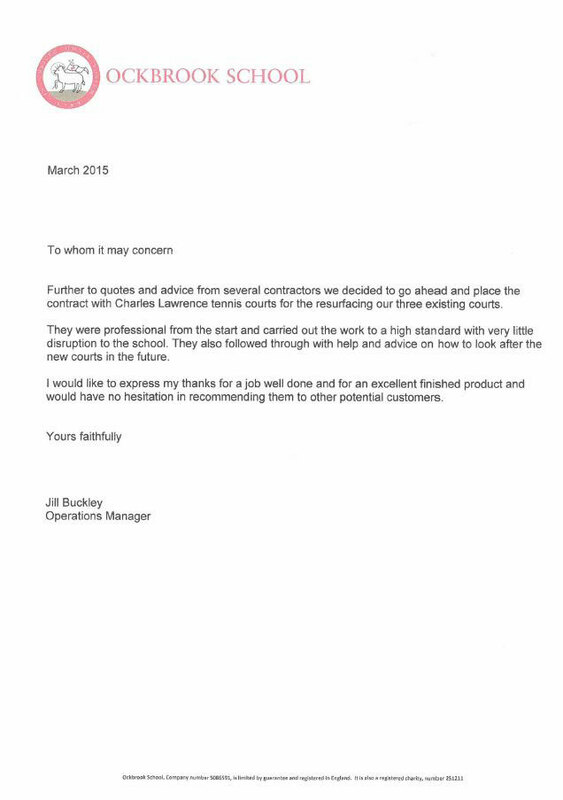 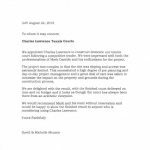 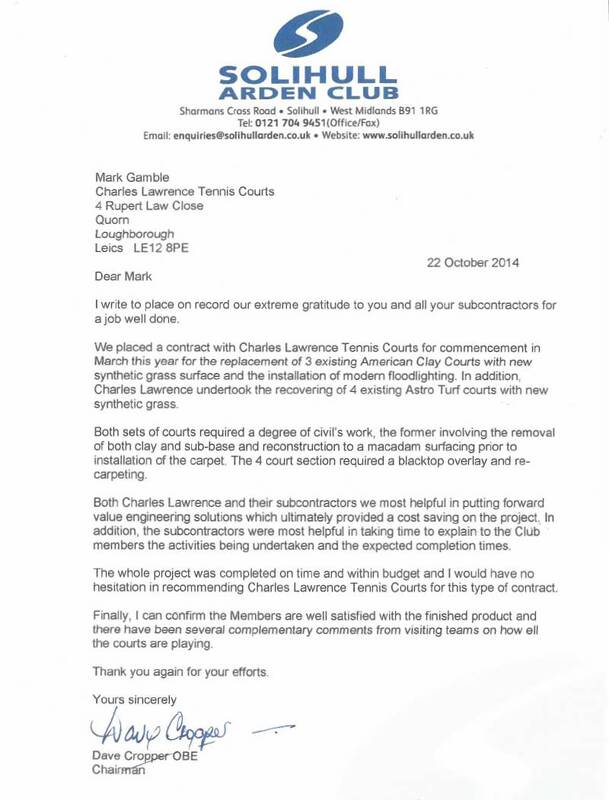 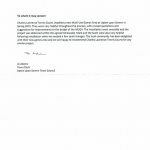 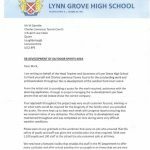 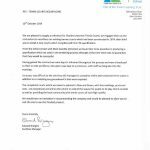 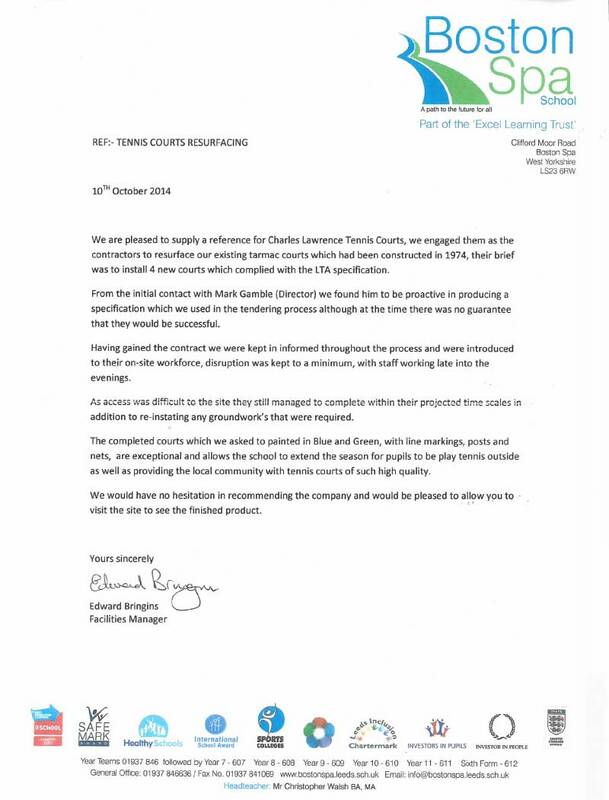 Charles Lawrence Ltd being a locally based company for tennis court construction, we found their priced very competitive and their flexibility to work around our needs within the school was second to none. 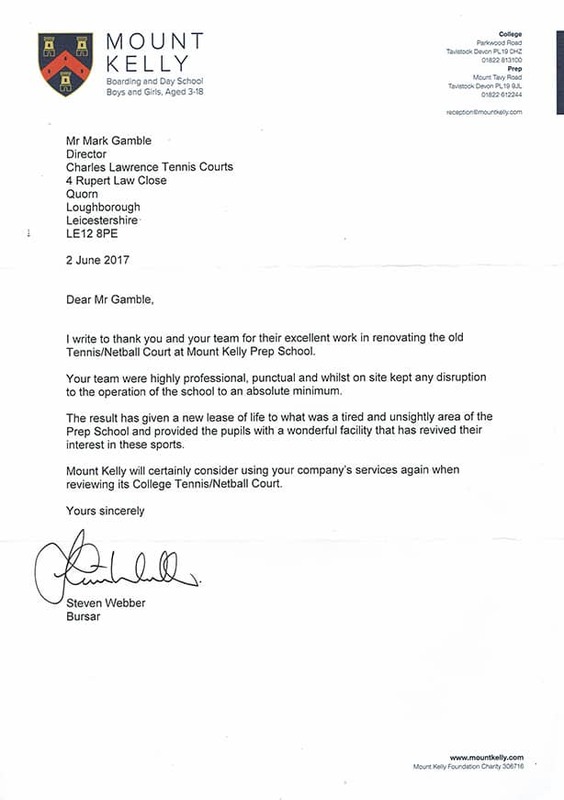 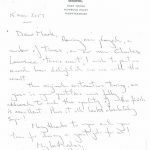 I write to thank you and your team for their excellent work in renovating the old Tennis/Netball Court at Mount Kelly Prep School. 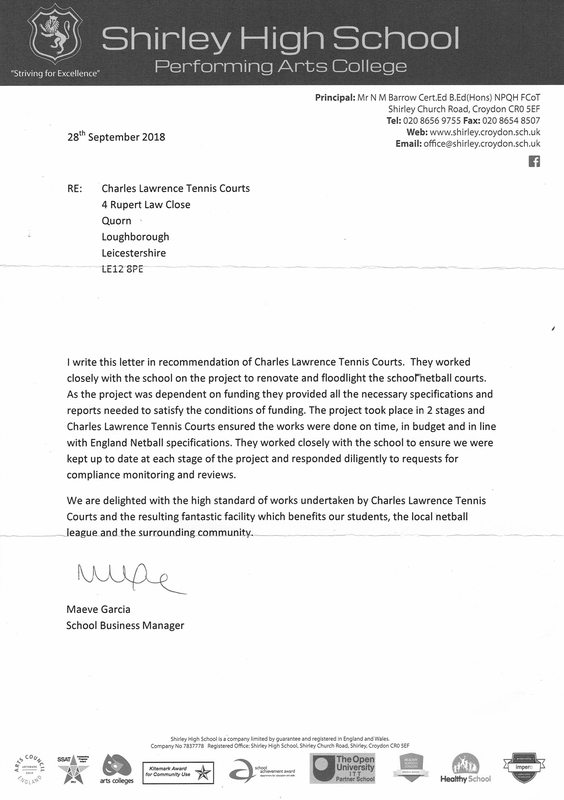 Having now played, a number of times, on our new Charles Lawrence tennis court, I wish to put on record how delighted we are with the result. 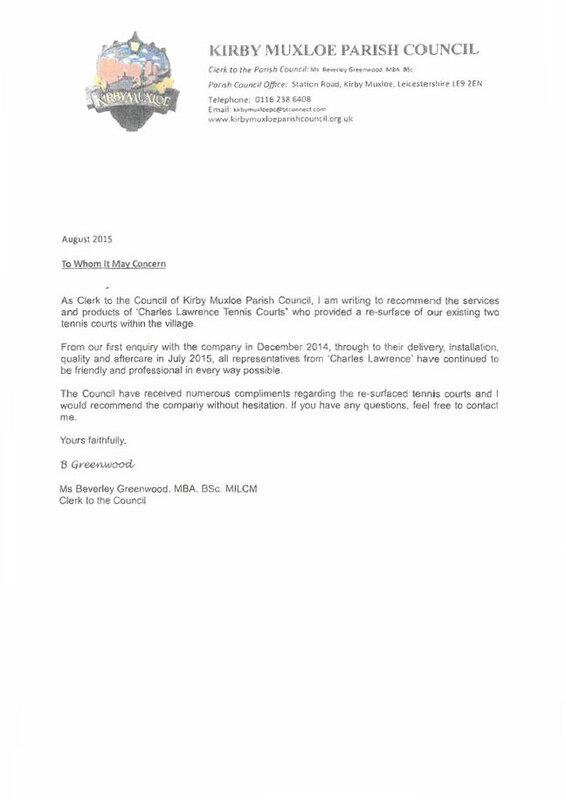 The work was carried out to a very high specification. 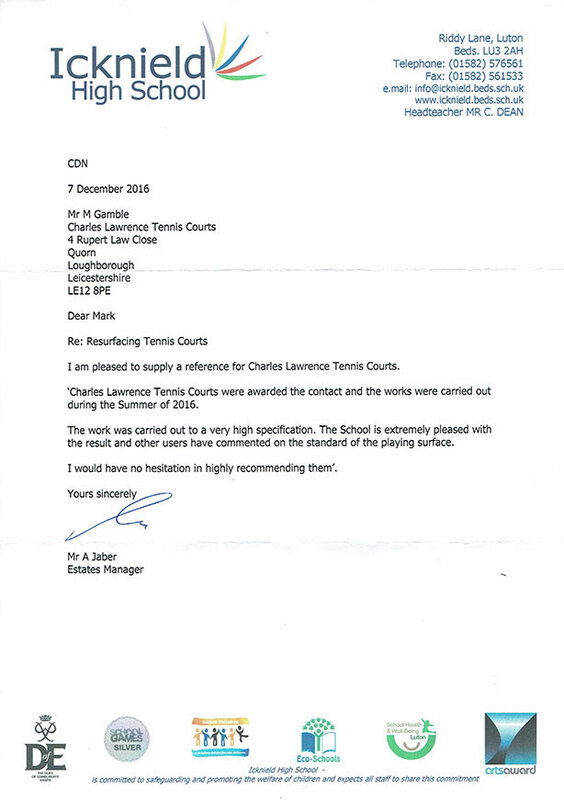 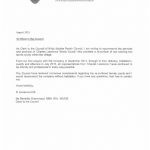 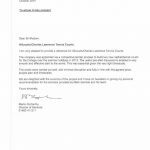 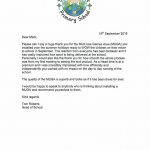 The School is extremely pleased with the result and other users have commented on the standard of the playing surface. 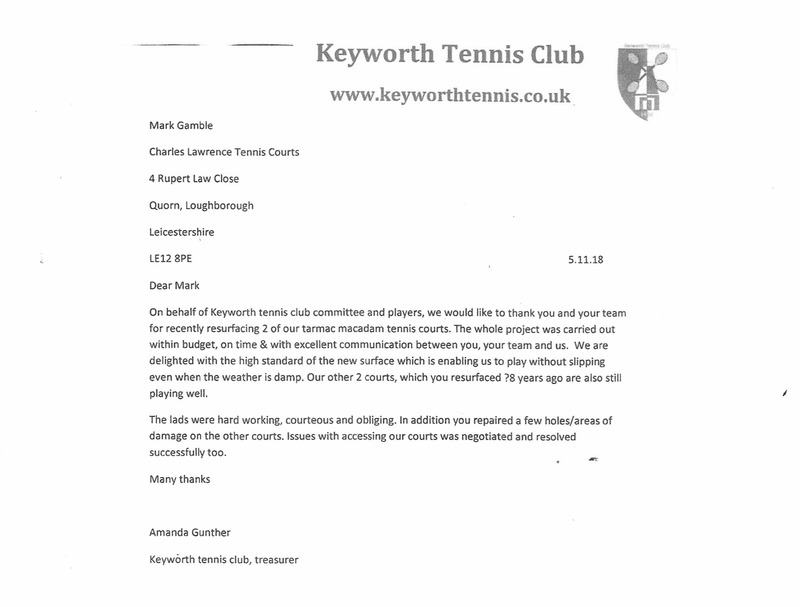 We would like to let you know that all our members are very delighted with the new surface and new fencing. 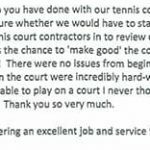 Most of their comments have been entirely positive. 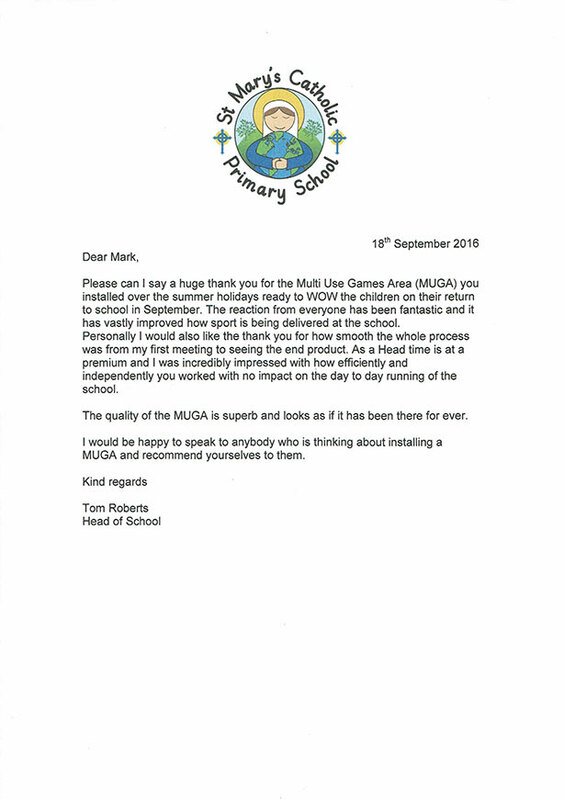 Please can I say a huge thank you for the Multi Use Games Area (MUGA) you installed over the summer holidays ready to WOW the children on their return to school in September. 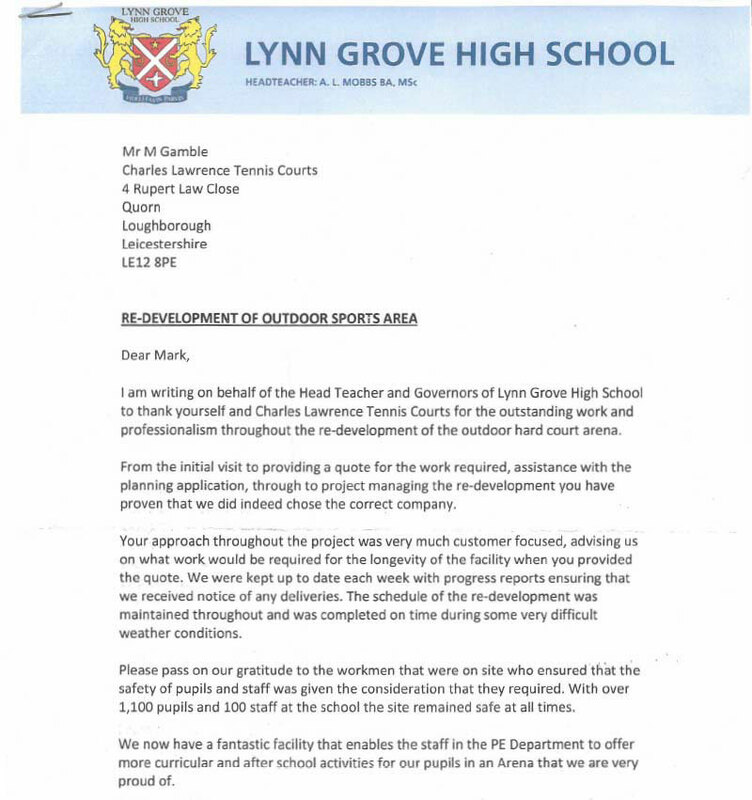 We would like to thank you for the excellent work done in building our new MUGA. 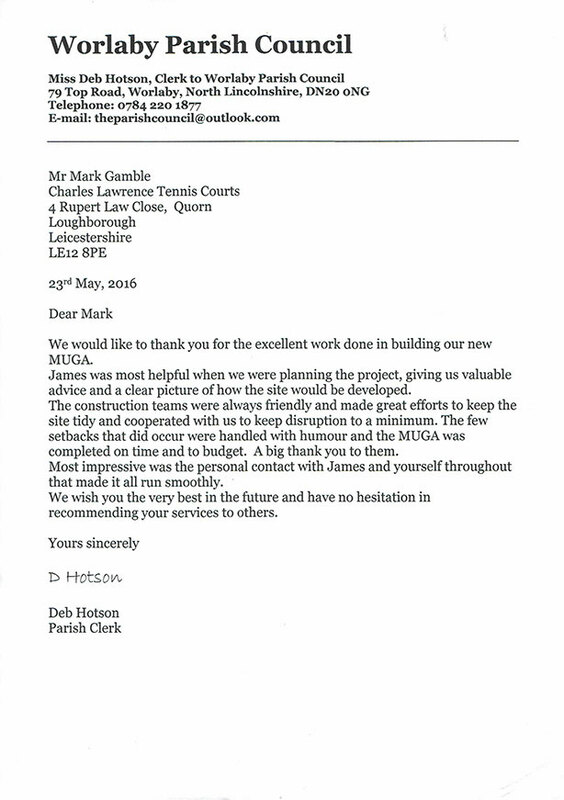 From the initial visit to providing a quote for the work required, assistance with the planning application, through to project managing the re-development you have proven that we did indeed choose the correct company. 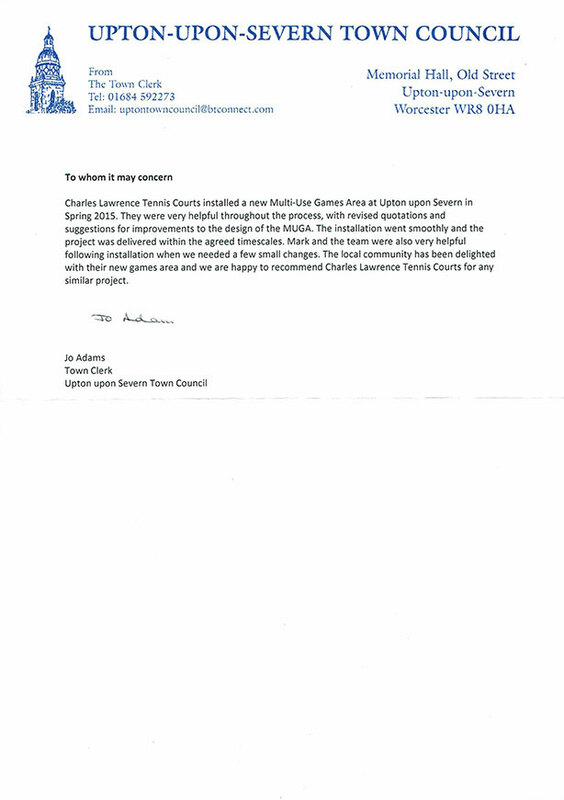 The local community has been delighted with their new games area and we are happy to recommend Charles Lawrence Tennis Courts for any similar project. 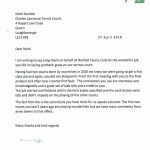 We spoke with many companies when researching the market, but from the outset you gave us the advice we could trust, guidance in choosing the right product / size and at a competitive price. 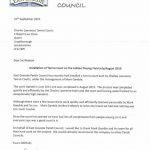 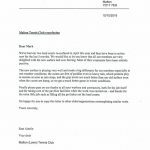 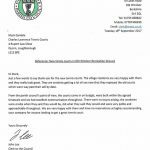 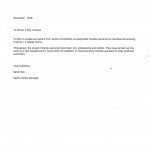 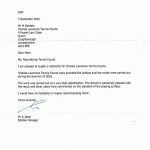 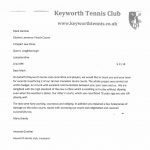 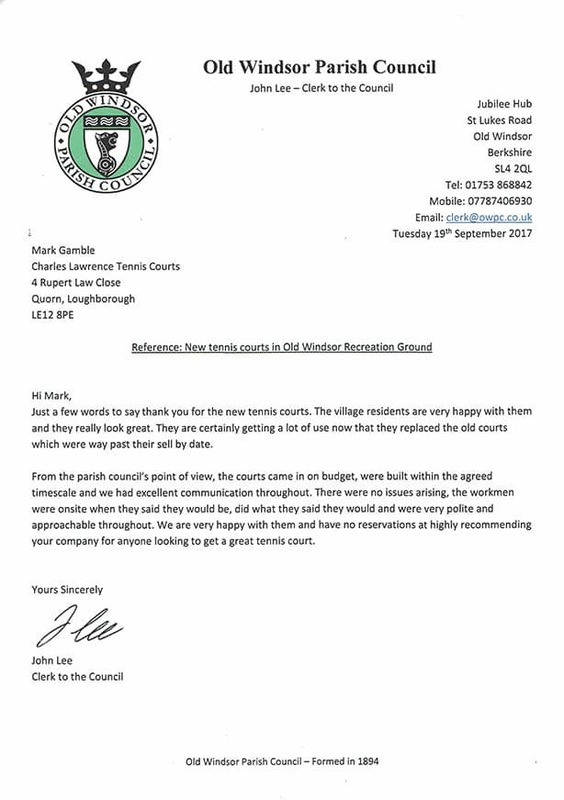 The Council have received numerous compliments regarding the re-surfaced tennis courts and I would recommend the company without hesitation. 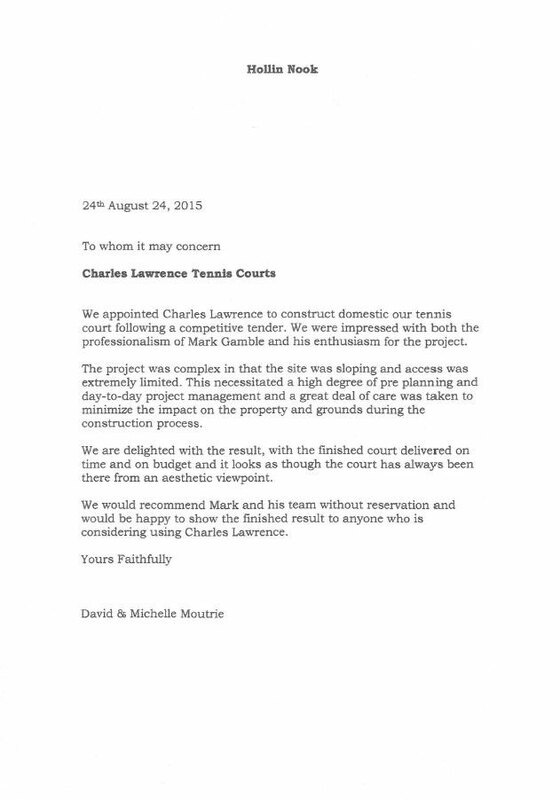 The process was completed quickly and efficiently by the Charles Lawrence team and the court and fencing were finished to an exceptionally high standard. 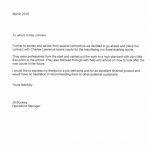 We would have no hesitation in recommending the company and would be pleased to allow you to visit the site to see the finished product. 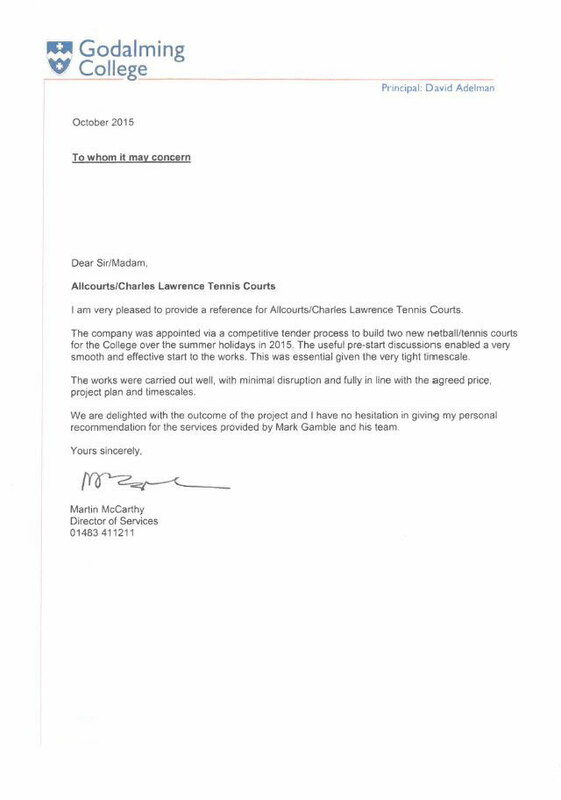 On behalf of the BTC Committee I would like to personally thank Mark Gamble and his team for their superb efforts and I have no doubt that the club would look towards offering further work to Charles Lawrence Tennis Courts in the future.